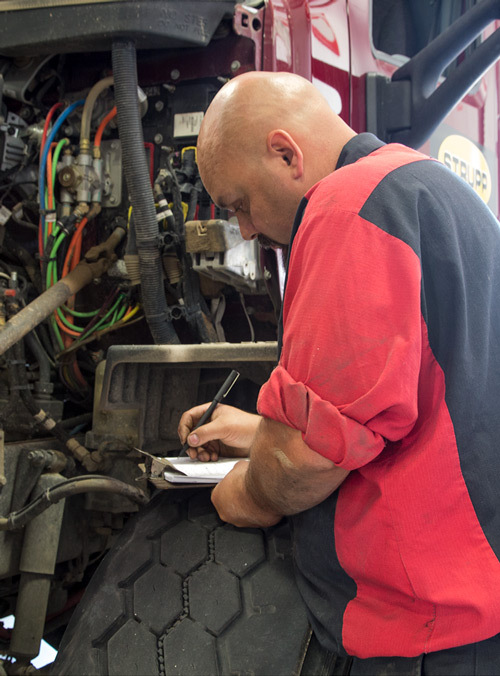 Not only is it important to keep your trucks properly maintained, but to also ensure your drivers are prepared for any emergency situation. Make sure emergency kits are stocked with important items like road flares, a fire extinguisher, reflector triangles, first aid, water, blankets, and jumper cables. Should any of your trucks need unexpected assistance, take advantage of Allstate Peterbilt’s Mobile Truck Service offering. Our OEM certified technicians will meet you at your location to diagnose issues quickly and perform repairs on the spot; or, you can schedule a regular service appointment at any of our locations. This entry was posted on Wednesday, February 7th, 2018 at 5:39 pm	and is filed under Driver Info, News & Info, Service and Parts. You can follow any responses to this entry through the RSS 2.0 feed. You can leave a response, or trackback from your own site. It was really a good read/a> I have learned a lot. This post is what I’ve been searching for. Since winter is a time where we don’t want to be stuck on the side of the road, it is always a good idea to have our vehicles checked out. As you said in the list, I would for sure want my battery to be in good working order. Nothing really is worse than going out and turning the key, and nothing.